Think back to grade school when you heard the slogan “Just Say No” to drugs. Your perception of drug addiction may have involved dimly lit streets, shady characters, and feeling far removed from your daily life. At that time, you may not have thought of a doctor office or a 70-year-old grandmother as being involved in substance abuse. The same individuals who use a few pain pills can quickly find themselves injecting heroin. The opioid epidemic has changed societies perception of drug abuse. A 2017 survey found that 2.1 million people have an opioid use disorder (OUD). This increase in use has led to the opioid crisis. With the rise in opiate use, you will be providing clinical care to clients who are or have been struggling with addiction. As a clinician, you need to be able to define what opiates are, the criteria for opioid use disorder, signs, and symptoms of use. Opiates are narcotic drugs that act as depressants on the central nervous system. They are highly addictive and fast acting. Doctors prescribe opiates for surgeries, toothaches, injuries, and chronic pain. Examples of common opiates are morphine, methadone, hydrocodone, oxycodone, buprenorphine, codeine, and heroin. Brand name opiates are OxyContin, Percocet, Vicodin, and Demerol. There are several ways individuals can use opiates including snorting/sniffing, shooting up/mainlining, skin-popping, or muscling. The Diagnostic Statistical Manual 5 (DSM-5) outlines the criteria for opioid use disorder. be met for individuals taking opioids solely under appropriate medical supervision. 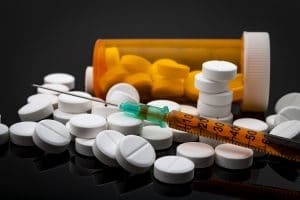 Tolerance: is defined as either: 1) a need for markedly increased amounts of opioids to achieve intoxication or desired effect, or 2) a markedly diminished effect with continued use of the same amount of an opioid. As a clinician be aware that there is a difference in signs and symptoms of opiate use. Signs of opioid abuse can be seen externally. This is different than symptoms of opiate use which are felt internally. There are many signs of opioid abuse that you may witness in your clients or reported by your client’s support system. For your exam prep, be sure to study vignettes involving substance use disorders. There are many assessments and checklist to assist you in diagnosing opioid use disorder. In your study plan include these assessments and list to help you learn the criteria for diagnosis. This was very informative to me. I hope to pass the Exam. Thanks Brenda! Wishing you all the best with your exam.